Dana Curtis Esq. - Mediator based in Sausalito, California. If you’d like a list of available dates for Dana Curtis, please submit a request below. You will hear back directly from Dana's assistant, Michelle Keane. DANA CURTIS is a pioneer and leader in the Bay Area alternative dispute resolution (ADR) field. She was among the first attorneys in the country to devote her career exclusively to mediation, beginning her full-time practice in 1991, before most lawyers could distinguish between mediation and other forms of ADR. Since serving for four years as a Circuit Mediator on staff with the U.S. Court of Appeals for the Ninth Circuit, Ms. Curtis has maintained her Sausalito-based practice, Dana Curtis Mediation. The Los Angeles Daily Journal has recognized her as one of the 50 "Best Neutrals" in California. Ms. Curtis is experienced in a wide range of ADR processes (training, mediation, early neutral evaluation, special master and independent fact-finding), all within numerous legal subject areas. She offers an individualized approach focused on identifying the parties' needs and identifying the challenges presented by each individual case. For a description of Ms. Curtis' approach to mediation, visit Mediation Procedures on her website. Prior to becoming a mediator, Ms. Curtis served as law clerk to Associate Justice Edward A. Panelli of the California Supreme Court and practiced commercial and employment litigation with McCutchen, Doyle, Brown & Enersen (now Bingham McCutchen) in San Francisco and San Jose. Before becoming a lawyer, Ms. Curtis was a community college and a nationally recognized high school teacher in Idaho. Ms. Curtis is also a respected mediation teacher. She has designed and facilitated hundreds of programs for law schools, businesses, court panels, private groups, bar associations and professional conferences throughout the United States and internationally. 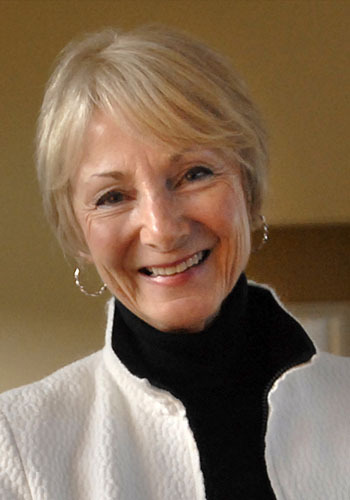 Ms. Curtis' mediation practice is informed by her strong academic experience, including as lecturer-in-law at Stanford Law School, where she taught the Mediation Seminar for ten years, and as adjunct faculty at Santa Clara University School of Law, where she taught a variety of mediation courses for eight years. Ms. Curtis designed and taught the first appellate mediation training programs for California Courts of Appeal, including the First, Second and Third Appellate Districts, where she continues to train mediation panelists. In addition, she taught the first appellate mediation trainings in Hawaii, Arizona, Nevada and Minnesota. In 2008, she founded Elder Mediation Group to provide mediation training and conflict services to older adults and adult families. To view Ms. Curtis' current teaching schedule, visit the training calendar at http://danacurtismediation.com/dcm/calendar.html. To view a list of programs and courses she has taught over the years, see Ms. Curtis' complete resume. Ms. Curtis has written widely on the subject of mediation, including as a contributing author to the Continuing Education of the Bar's Litigator's Guide to Representing Clients in ADR. For a list of Ms. Curtis other publications, visit the publications page at www.danacurtismediation.com. Ms. Curtis has also been active in the mediation community, serving for ten years as Co-Chair of the Mediation Committee of the Bar Association of San Francisco; as a member of the California State Bar ADR Committee; and as a member of the board of directors of the California Dispute Resolution Institute. She is a charter member of the San Francisco Mediation Society and belongs to numerous professional organizations, where she is frequently invited to present programs. Ms. Curtis serves on numerous Bay Area court and national mediation panels, including the Employment Mediation Panel of Boston Law Collaborative. For a complete list of panels on which Ms. Curtis serves, see her resume. Ms. Curtis is co-founder and a member of the Board of Directors of RockRose Institute, a Bay Area non-profit dedicated to solving conflict through dialogue and deliberation, and serves as a consulting member of the San Francisco Zen Center's Ethics and Reconciliation Council. When she is not working, Ms. Curtis enjoys being on her Sausalito houseboat with her husband Daniel Bowling, who also is a mediator, hiking in Marin and traveling, especially to visit her three children and four granddaughters. View Ms. Curtis' complete resume.